This topic only concerns the SNES versions of the DKC trilogy games. Each game in the DKC trilogy was released in multiple regions (North America, Europe/Australia, Japan, etc), and each region was supplied with updated versions (revisions) of each game which served to fix bugs and other programming oversights. The purpose of this topic is to identify all of the changes made from one release of a DKC game to the next. The USA v1.0 releases are the original versions of each game in the DKC trilogy*, so these can be used as the 'benchmarks' for comparison. * Although the European release of DKC was released first, evidence suggests that the USA version 1.0 is the release which all other versions of the game are based on. Anything at all which is present in at least one version of each DKC game, but not in another version/revision of the same game is of interest here. Mini-Neckys and perched Neckys (both which dispense nuts as their method of attack) can be safely walked through in the first version of DKC for EUR and USA region games, and even in the USA 1.1 revision (just none of the JAP versions). However, by the final version for each region, this has been 'corrected', meaning the Neckys will defeat a Kong who walks into them. These 'bugfixes' are indicated by a note such as "fixed 'harmless Mini-Neckys and perched Neckys' bug". In Cranky's Monkey Museum (and K. Rool's airship, The Flying Krock) there is a Super Nintendo controller which has a region-dependant colour scheme. In EUR regions, SNES controllers have multicoloured buttons (ABYX), while the USA's buttons are shades of purple. The in-game controllers reflect that game's region's controllers. Please use this topic to discuss any such changes between the different versions of DKC, DKC2 and DKC3. If you know something which differs from version to version, for any of the DKC trilogy's games, please share it here, and I will update the list below. Please help me improve this region list by telling me other countries which belong in each region. -K. Rool throws his crown immediately after each round of falling cannon balls (In other versions, he'll wait for a bit) - thanks, Kirby! * There's a ! after the World Level name if you've found all bonuses. * There's also a ! after a beaten boss stage. * The Mini Necky at the end of the level has been removed. * One less Bitesize at the O. * Mini Necky at start doesn't shoot a nut at once. Might be the same case with all mini neckies. * Second Klap Trap after the steel keg has been removed. * One Squidge at the end has been removed. * One extra Krusha before the "Close to exit sign", number 5 after the first bonus. * First Kritter has been removed. * A total of three kritters have been removed around the O before the midway keg. * Second Kritter after the first Manky Kong has been removed. * Kritter removed after the pair of Manky Kongs. * First Kritter removed after the kritter mentioned above. * The fire in the oil drums is gone around one second longer. * There's a lot more space between the barrels the Manky Kong throws at the end. * One Mini Necky removed at the end of the first ride. * The second DK-barrel has been moved slighty to the right. * The first Necky after the DK-barrel mentioned above, has been removed. * The moving platform stays when it reaches the end, instead of falling down. * One Slippa removed at the end of the first tunnel. * One Slippa removed at the start of the second tunnel, at the zingers. * An extra banana bunch at the end of the rope after the two zingers moving horizontally. * One slippa removed after the rope mentioned above. * A DK-barrel has been added after the midway barrel, above the banana bunch. * One Klump removed at the second steel keg. * Another Klumpe removed above the other one. * One steel keg added after the above mentioned Klump. * First mini necky after the midway barrel has been removed. * A Bitesize before the first tire has been removed. * Another one removed before the first two horizontal tires. * And one moved after the tires mentioend above. * First Squidge removed at the second DK-barrel. * Second Squidge before the O is removed. * Second Squidge after the O is removed. * The two vertical tired at the second Enguarde has been changed to one horizontal. * A Bitesize removed under the second tire circle. * A tire removed below the above mentioned Bitesize. * The tires at the vertical shaft close to the end are moving slighty bit slower. This may be the case with more tires. * The fast Bitsize in the end have been slowed down a bit. - red balloon replaces the banana bunch near the end of the level (above the high-flying Necky) -thanks, VideoViking! * The fifth Necky that has been removed is after the K, not the N.
* DK-barrel has been added after the midway barrel. * It's dark for 46 frames and light for 77 frames. Compared to the US-version, 62 and 62. * A regular barrel has been added after the midway barrel. * The first Klap Trap in the trio has been removed. * A DK barrel has been added to the first bonus. * Klap Trap at the exit is removed. * The first Gnawty has been removed. * The first Gnawty at the N has been removed. * The middle Zinger at the banana bunch has been removed. * The lower tire at the Rambi box has been removed. * A Klap Trap removed after the first tire. * A DK-barrel added before the Necky. * First Army has been removed. -fixed 'beneath the brambles' bug in Fiery Furnace's bonus ...thanks, Blaziken! -fixed 'beneath the brambles' bug in Fiery Furnace's bonus ...thanks, Blaziken/Kirby! -auto-fire barrel located directly above the 'G' does not rotate back after firing ...thanks, Kiddy! -red balloon (above first wooden barrel/sneek) is visible and positioned at the bottom of a crevice (it's invisible, and at top of the crevice in other versions) ← reported by Blaziken257 NEW! -'Roll through Rocket Rush in reverse' glitch can be performed only in this version (reported by Blaziken257) NEW! 1.0 -fixed Cotton-Top Cove waterfall in Banana Bird ending sequence ...thanks, Kirby! I think that's all revisions... If I'm missing any, or have nonexistent ones listed, please advise! If you know of any differences which haven't been mentioned/added, please post with the details. Last edited by Qyzbud on April 5th, 2013, 5:49 pm, edited 39 times in total. Re: DKC SNES Trilogy: Differences between the revisions of each. I'm not sure about walking savely through this Perched Necky in the japanese 1.0 version. I remember beeing hit by him, but I am recording and watching F1 (yeah, australia!) at the moment, so I cannot retest it myself. You're quite right. That's strange... The Perched Necky fix was made in different revisions for all three regions; 1.0 in JAP, 1.1 in PAL and 1.2 in NTSC. This seems very odd because the JAP version was released just two days after the initial (PAL) release. Surely if they made a fix to the JAP version, it would have been in time to do the same for the others. Even stranger that the NTSC version wasn't fixed until its second revision... Perhaps the JAP version's 'fix' was just an inconsistency caused by other changes, like the game text... and the bug was somehow 'displaced' by shifting data around in the ROM. Then they may have noticed this, and patched future revisions to keep things consistent across the multiple regions. I wonder when each region's revisions were released, and if they were at the same time as each other at all, or completely independant. In Cranky's Monkey Museum (and The Flying Krock) there is a Super Nintendo controller which has a region-dependant colour scheme. In PAL regions, SNES controllers have multicoloured buttons (A B Y X), while NTSC's buttons are shades of purple. The in-game controllers reflect that game's region's controllers. That's weird. I have a purple-buttoned SNES controller and one with red, yellow, green and blue buttons. But my version of DKC2 has purple buttons on Cranky's controller. Are you sure that the multi-colored controllers are only available in PAL regions? Sounds like you're a lucky fella to have the rainbow 'troller! Do you remember where/how you got it? Yeah, I've never even seen one with rainbow colors. How'd you get the special one?!?!?!? I added some of the differences present in the DKC Competition Cartridge, though I'm sure there are many others. I also determined that the bug which allows you to roll/jump in midair within Mine Cart Carnage & M.C. Madness was fixed in the final revision of each region's game, so I've added added those details to the DKC checklist above. So far I haven't noticed anything different between the NTSC V1.0 and 1.1 revision of DKC... Does anyone know what was changed? Qyzbud wrote: Sounds like you're a lucky fella to have the rainbow 'troller! Do you remember where/how you got it? I was very young when we got our Super Nintendo, so no, I can't tell you how I got my rainbow controller. I just always thought that it was normal... But when I think about, I've never seen another person with a rainbow controller! I should've seen the signs. As soon as I can get my digital camera back, I'll post a picture of it. Am downloading some other versions and will test a few glitches now. In the Japanese release the warp glitch in the first world doesn't work. Oh, they fixed the world warp for the first JAP release, did they? That makes it even more confusing that they didn't fix such things sooner for the other regions. I'm going to take another look and see what may have changed. That wiki section you linked to — do you know how that swapping to Rambi glitch works? I'd like to test it (or have you test it) across all versions before I update the main list here. Cheers Tompa. 1. Get Winky/Expresso, exit the bonus, and reenter it. 2. Get on Winky/Expresso, get back off him, and exit the bonus without him. 1. With Expresso, enter the last bonus. 2. Get on the Expresso that is in bonus, get off him, and leave without him. I agree. Something like that isn't harmful to gameplay... It's a nice little bonus for anyone who happens to discover it! Glitches make a game more interesting, but then again, they reveal the sloppiness of game designers (which makes Rare/Ninty look bad), so that's a likely reason for them to all be patched. Just so you know, if I don't mention DKC2 or 3, it's always DKC1 I'm talking about . Title screen and name changed for the Japanese version. There's also a demo movie if you are waiting a little. You can't skip the "Level finished" song. High jump when you lose a bonus with Diddy does not work anymore. Tompa wrote: Just so you know, if I don't mention DKC2 or 3, it's always DKC1 I'm talking about . That's a good policy! I think I'll start doing the same, and suggest that approach to others. Hey, good observations... but I mentioned the alternate title screen in my 1st post. I didn't realise there was a demo in the JAP version, though... I'll start a new thread to discuss DKC trilogy 'demos'. EDIT: Wait- no, it's there... In fact that level is riddled with DK barrels in the Japanese release! Was the "High jump when you lose a bonus with Diddy" bug removed in other region revisions, too? Oh, missed that in your post . The high jump doesn't work in PAL 1.1, but in NTSC 1.1. Quite odd that they didn't fix it for NTSC 1.1 =P. Tompa, look at my previous post again... New findings! Also, it seems to me that NTSC V1.1 was a very hasty fix. They missed a lot of stuff. I think the PAL 1.1 and the NTSC 1.2 are probably about 'equivalent'... Except for the Slip Slide Ride stuff. So who knows. I could go on forever to test different glitches to see what works in what version, but I really can't be bothered that much . Arne and I are currently talking on Skype (Which we have done for like 5 hours soon, ehe...). We are both finding glitches baiscally everywhere. This is pure awesomeness. Haha, yeah I know what you mean. I started making the site after finding maybe 10 new glitches in one playing session, just by trying out weird stuff. I figured it was worth having a website which is just for this kind of stuff, so that's the main reason this site/forum is even here. Woah! That's crazy, I wonder why they made the JAP version easier? I know, totally bizarre. I always thought Japanese gamers were known for being elite... but maybe their games are just easier! Necky's are harmful so they fixed that. This version is probably NTSC 1.2 version. GAME CRASH - the game crashes when completing Croctopus. LAME! I didn't find any major differences in the game-play itself. Oh yeah, you start with 50 lives and some bonuses are removed. I found a quite interesting glitch. If you die with your 50 lives before the time runs out (I haven't been able to do that without cheat codes yet) you will get a game over screen and to the title screen! You can get to the map, enter the first stage and it will start just as normal but your time is set to... I don't know but it's probably enough to play for a long time. Also, if you die right away at the first stage, you will restart at the first stage but with reptile rumble items I'll record a .smv to show you. Alright, it may be possible to get rid of the 50 lives by first switching to diddy as fast as you can and repeatedly die at the first gnawty but to succeed with that I guess it needs to be frame perfect... But another way that's possible is to speed to the second stage and die at the snake as fast as you can. .smv will be posted soon. The third stage is also effective and easier too. http://dehacked.2y.net/microstorage.php/info/1788630166/competitioncartridge-glitching.smv - .smv demonstration of the CC game over screen. Quite interesting. Crashes after Croctopus Chase? Why did they do that?? They probably figured that no one would get farther than that in 5 minutes. Arne, again, great discovery! You know how to push a game beyond its limits, that's for sure. I haven't checked out the forums in a long time and missed all of the discussion on version differences. Hope I can catch up. Anyway, the Enguarde barrel in the beginning of Arctic Abyss is in slightly different positions between revisions. In the 1.0's, it's positioned in the middle of the passage, but in the 1.1's, it's a bit higher. Which is rather strange, because this change in 1.1 actually makes it easier to bypass the Enguarde barrel and play the level as the Kongs. In the 1.1's, you simply switch to Dixie and have her swim beneath the barrel, as simple as that. Diddy can't do this because he's a bit higher vertically than Dixie while swimming. In the 1.0's, you do the opposite; you have to swim OVER the barrel as DIDDY. It's rather difficult to do, since you can't allow yourself to drop too many pixels and touch the barrel, so you'll have to have quick fingers while pressing the B button so you don't sink too low. With a turbo controller, it's a synch, though. Also, as an owner of the DKC2 NTSC 1.0 cartridge, I too have fallen prey to the "delayed sound effects" bug. I don't know what causes this bug, so I wasn't able to do extensive tests in each of the versions (which is how I feel about DKC3's Rocket Barrel Warp Glitch.) But I've only encountered the bug on playthroughs of 1.0. Never encountered it in NTSC 1.1. Probably not conclusive by any means, but just letting you guys know. Also, DKC3 has a couple... oddities. There's the aforementioned Rocket Barrel Warp thing, but there's something that probably doesn't count as version-specific... there is text from DKC2 in all versions of DKC3 (even the JAP revisions!) It's located at $3779E9 (unheadered) in the ROM. There are three versions of DKC3; PAL has one revision, NTSC has one revision, and JAP has two revisions. DKC3 didn't get as much fix attention, apparently. 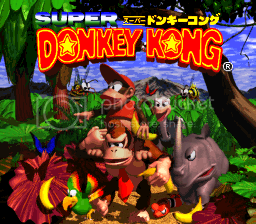 Does anyone have a ROM of DKC2 PAL 1.0? I've never encountered it, but it may exist... I don't know... I've never seen it listed in ROM databases. Hey Kirby, great to have you back. You can never stay away from this place for too long, or you'll miss all the fun. Thanks for your expert input, I hope you spend more time around here in the future. 2nd Edit: Wait- I have the DKC2 German 1.0 ROM, and Germany is a PAL country, right? I should add the German version(s) to the list. Kind of interesting... A major difference I noticed between the English PAL/NTSC to the German PAL is that they give you the option to have the game's text in French... I guess they assumed that there are more French players in the states than German ones. That is interesting. The PAL releases of the original DKC had all three languages available... So with DKC2, the German release is maybe PAL v1.0, and then there's the official PAL 1.1 release, which has French instead. I guess maybe there wasn't space for all that text in three languages, in DKC2? Edit: I just noticed that there are no language options in the NTSC versions of DKC. That's something for the list, too. All of the ROM's I own are unhacked and have been verified using programs such as NSRT. Perhaps a good idea would be to also have the checksums of all of the official DKC ROM's on your website, just so that people know which ones are the hacked ones. The harmless perched Necky glitch also carries over to the Mini-Necky as well. It occurs in PAL 1.0, NTSC 1.0, and NTSC 1.1. Didn't test it with the Competition Cartridge, but I'm assuming that the glitch doesn't occur there either, since the Harmless Perched Necky/Mini Nicky seem to be causally connected. You still haven't added any of the things I mentioned for DKC1 J =P. Hey, that's weird that the Trick Track Trek platform drops at the end like that... I'm surprised I never noticed that. I've played the PAL version(s) all my life until just recently, so this would have been very obvious... but I guess I haven't played T.T.T. properly lately. Finally, something I can put as a fix in NTSC 1.1! I noticed two strange things in T.T.T. that I haven't had time to thoroughly investigate yet, but I'll mention them here. It seems as though the 2nd Klump doesn't drop down in the NTSC 1.0 game, but he does in 1.1 and other versions... I'd better test this properly later. Also, I was playing NTSC 1.1, bounced up off of the two Klaptraps, roll-jumped right, cartwheeled the Manky, then let myself hit the Zinger, and bounce back to the left with DK... and the Manky had come back to life! Odd. I'll see if I can work out the details on this one. The PAL version of DKC contains English, French and German. The PAL version of DKC2 contains English and German only. DKC2 also doesn't save the language you have chosen, DKC does. Funny, isn't it? But there is a french speedrun in DKC2 at SDA - do they have their own frenchie version? About the DKC2 (E)PAL 1.1: Was this version with the french text released a bit later? Maybe they sold the (G)-labeled version in the PAL-regions until they thought giving the french the chance to play DKC2 in their native language? Is there a way to find out which versions my copy of the games are? So I mean like, not the ROM's I have, but the actual games you put in the SNES. Nackhe: Well, you can try some of the glitches mentioned here. As you live in Europe I presume you are using the PAL version of the game. One thing you can try is to carry a barrel and jump on an enemy. If the barrel is going straight up in the air, you are using V 1.1, if it isn't you are using 1.0. It seems that several of the levels in this revision freeze when you get to the end, like it does for Croctopus Chase. But most of them don't, and usually take you to the next level map-wise, unless a non-level area is after it, such as Cranky/Funky/Candy (I played through Rope Bridge Rumble, and the next level was Really Gnawty Rampage, and after THAT the game sent me back to Jungle Hijinx... I guess boss levels break the rules a bit.) I think the biggest difference between the Competition Cartridge and the normal versions is a lot of the "level warps" have been modified. So that's something that could be documented. Good additions and reminders, guys. I'll try to get this tally completely up to date as soon as possible. It's interesting to discover the logic/rules of the Competition Cartridge... They seem to have altered it a fair bit more than I first realised. DKC's NTSC 1.0 release seems to have a couple of bugs/conditions that don't occur in any other version... I'm thinking it would make sense to call this the original release of DKC, unless any solid evidence is brought to our attention which proves otherwise. PAL 1.0's release date was a day earlier, but that doesn't mean much. The code for the NTSC release could have been finalised months beforehand, for all we know. I think I heard a long time ago that most game developers will develop the game in NTSC format initially before making it in PAL, due to the technical difficulties involved. So it's not too out of the question that the NTSC 1.0 is earlier than PAL 1.0, despite the latter's earlier release date. The JAP revisions are in NTSC format, so it'd probably be better to distinguish them by the region they were released in, rather than the format they're in. NTSC and PAL are different electronic standards or something... I don't know too much about it in general, but I do know that nearly all NTSC SNES games (and probably for other systems, too) play at 60 FPS, where as PAL is 50 FPS. So people who play the PAL versions will have a slightly slower playing experience (I think it's most noticeable during DKC3's intros, where the action doesn't keep up with the music in the same way it does in the NTSC versions.) NTSC is used in Japan and the USA, and PAL is used in Europe and Oceania. I think you're right about that, or most of it. Just to clarify though; You mean NTSC here, right? I believe NSRT is Nach's SNES ROM Tool. Feel free to edit your post. Yeah, meant NSTC. Four letters... both start with "N"... it plays with your mind. Someone (Qyzbud?) mentioned the difference between the gameplay demos in DKC 2 between the E and U version. Yes they are different, but it looks like the input commands are the same, maybe through the 60:50 difference glitched it up because Diddy can't catch the rope. The thread for discussing the demos can be found here. It seems that there are at least two SNES versions of the game... I'll show you what I mean. ...and you'll see that the second one has LOTS of Buzzes where the first one doesn't. Also, where Koin is, the switch barrel is in a different place! In the first video, it's to the left of Koin, and in the second one, it's to the right! Why is it different in different copies of the game? Last edited by Qyzbud on December 9th, 2012, 8:51 am, edited 1 time in total. Rather interesting stuff. I've always noticed how weird this particular level is when I played it on my SNES, which was American 1.0. I never really played DKC3 extensively in any other version, so these subtle level differences sort of missed my radar. It seems that every other revision of DKC3 has the extra Red Buzzes (English PAL 1.0 and Japanese 1.0/1.1) except for American 1.0. Same goes with the Bazooka enemy at the bottom of the stage, which seems to have been placed below viewing range in American 1.0. For the Switch Barrel next to the Koin, it's on the left in American 1.0 and Japanese 1.0, but on the right in English PAL 1.0 and Japanese 1.1. Thanks for pointing this out. I probably wouldn't have been able to notice it if you hadn't. Likewise, I hadn't noticed this. So it's mostly extra red buzzes? Helps to overcome the quirk of ignoring the lower, off-screen buzzes, which let the kegs past. I guess we can again assume that the USA v1.0 is the original release. Blaz, do you mind if I merge this topic with the Differences between revisions thread? Seems like these comments belong in such a place, as I created that thread specifically for such observations. Sorry for the late reply but go ahead and merge it with the other thread. The VC version of DKC PAL is 1.1, I really doubt that they made any modifications to it. And the warps in the first world work, even though you have written in the OP that they aren't. Thanks, Tompa; I've corrected the listings. I've also noticed an extra DK barrel and considerably fewer Krashes and overturned carts in the JAP DKC versions of Mine Cart Carnage... One of these days I'll play the JAP version/s the whole way through and document all level objects which have been added/removed. I'm very intrigued.